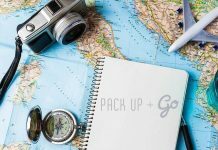 When it comes to traveling, people can choose from dozens of adventures depending on what they prefer the most. There are those that prefer leisurely walks in the park and forest; there are those that prefer defining their limits and breaking their boundaries by trying out extreme activities; and then there are those that want to travel to the parts of the world that carry the most history. For this last category, the best place to see historic landmarks in is the city of Jerusalem right at the heart of Israel. Also called as the Holy City, Jerusalem is the place to be for people that want to explore a huge chunk of the world’s history. The city contains countless ties to Christianity and other religions and it is a special spot not only for history geeks but also for those who want to see amazing world wonders. Although Jerusalem has countless sights to visit, perhaps the one that stands out among the rest is the Church of the Holy Sepulchre. 2 What is the time zone in Jerusalem? 3 How to get to the Church of the Holy Sepulchre? 4 When it the best time to visit the Church of the Holy Sepulchre? 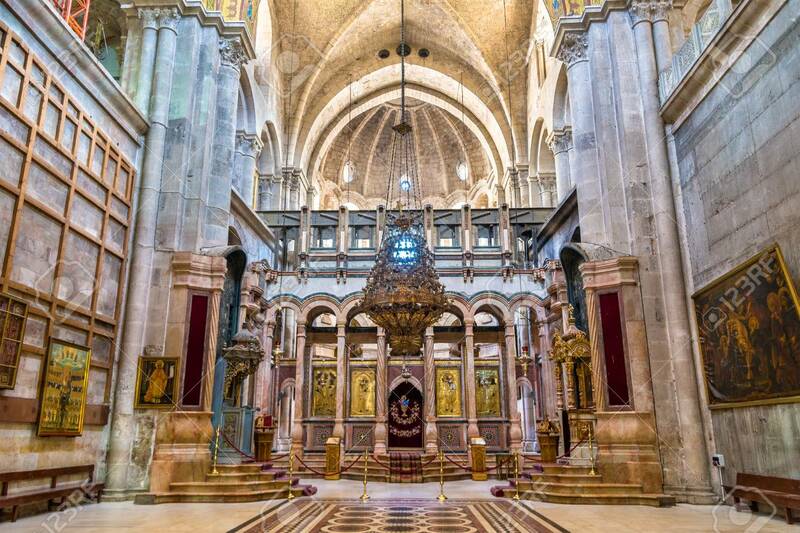 5 Why Visit the Church of the Holy Sepulchre? 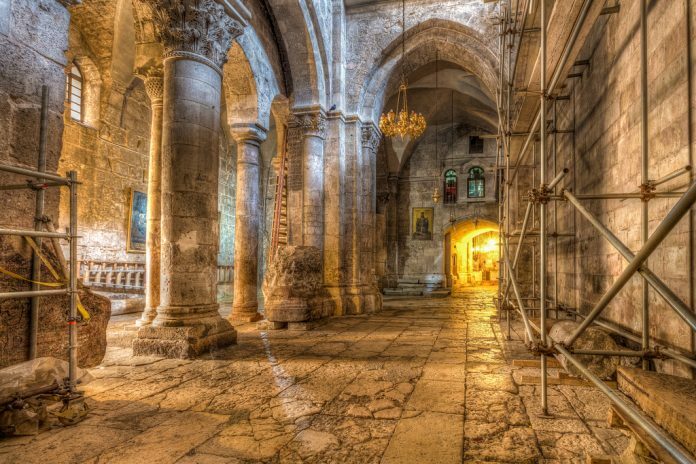 Located in the Old City of Jerusalem, the Church of the Sepulchre is a church that contains two of the holiest sites in Christianity. First, it is the location of where Jesus of Nazareth was crucified at a place called as the Calvary or Golgotha. 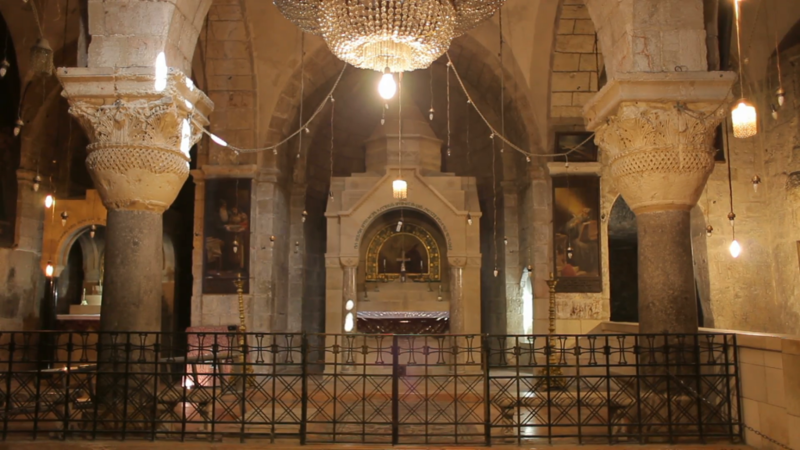 It is also believed to be the location of Jesus’ tomb where he was buried and later on resurrected. Although the history of the church dates to as far back as 70 AD, it only began to be constructed during the 4th century. After seeing a vision of a cross in the sky in 312, Constantine the Great later on converted to Christianity. He signed the Edict of Milan which legalized the religion and he ordered his mother to look for the tomb of Jesus in Jerusalem. They found the tomb at around 326 and it was worked upon until its consecration in Sept. 13, 335. The church went on to go undamaged for a couple of centuries until it was destroyed by a fire in May 614 when the Sassanid Empire invaded Jerusalem. More damage was done in the coming years caused by earthquakes, fires and invading armies. On October 1009, Fatimid caliph Al-Hakim bi-Amr Allah ordered the complete destruction of the church as a campaign against Christian places of worship in Palestine and Egypt. The church underwent reconstruction only in the 11th century after Caliph Ali az-Zahir agreed to allow the rebuilding and redecoration of the church. Emperor Constantine IX Monomachos and Patriarch Nicephorus of Constantinople funded the church heavily in 1048. The church underwent changes in ownership and structure in the following centuries but all in all, these changes allowed the Church of the Sepulchre to be what it is today. 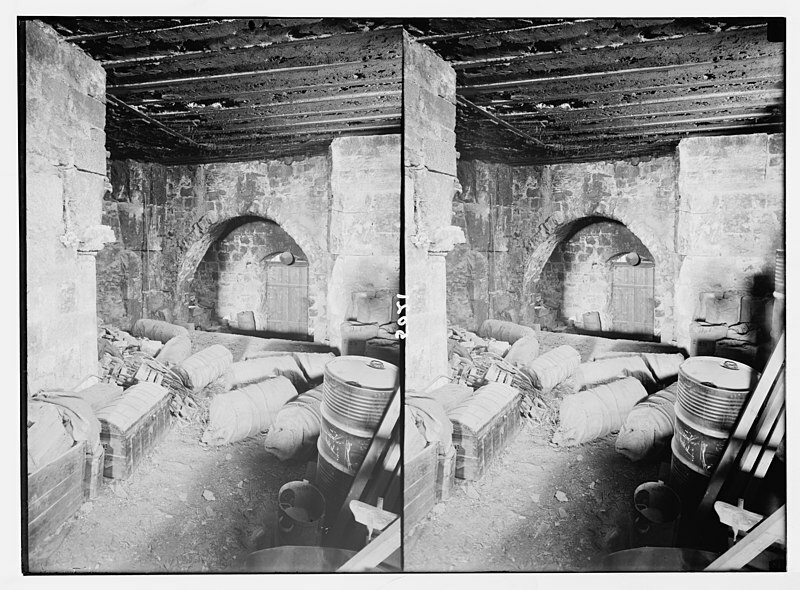 Even in the current centuries, more changes were made to overall improve the structure’s integrity and history. The surrounding government also made efforts to restore some of the church’s most iconic spots. As the years went on, more discoveries were made within the vast rooms in the church but one thing remained the same throughout the years and that is the fact that the Church of the Holy Sepulchre continues to draw massive crowds in its vicinity annually. 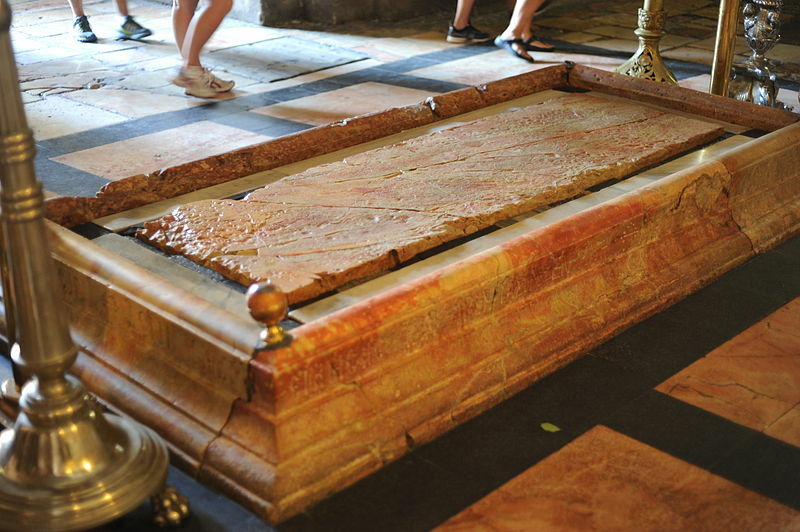 With its huge and long history behind us, let us now take a look at some of the things to consider before visiting the Church of the Holy Sepulchre. What is the time zone in Jerusalem? The city of Jerusalem in Israel is on the Israel Standard Time which is roughly 2 hours ahead of the Greenwich Mean Time. The city of Jerusalem is solemn and quaint so people should not expect a rowdy nightlife compared to what they see in other areas. As such, they should consider traveling to the city in day time as they might find it hard to use public transportation. 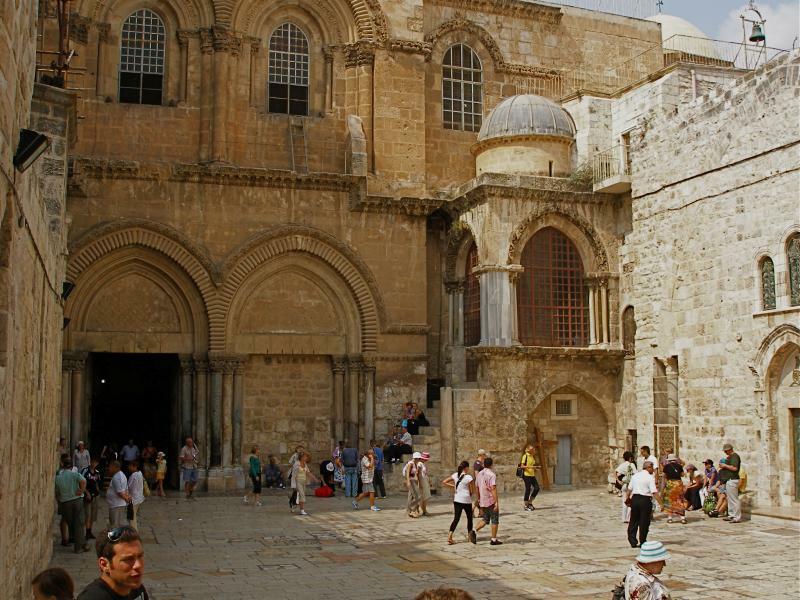 How to get to the Church of the Holy Sepulchre? First and foremost, it will be important to schedule a flight to Jerusalem ahead of the trip. There is no airport in Jerusalem and the closest one to it is the Ben Guiron Airport. The airport is located in the town of Lod and is roughly 35 minutes away from the city of Jerusalem. It is also a half an hour drive to the bustling city of Tel Aviv. The best mode of transportation to use to move around the city of Jerusalem is by using the light rail transit. The train system is both fast and convenient and it can get people to the Church of the Holy Sepulchre as well as other Jerusalem hotspots easily. The train’s routes are tailor made to pass by the top destinations in Jerusalem and people can use this as a quick look around the city before they start their tour. Alternatively, people can also hail taxis in Jerusalem. There are thousands of taxis in main areas such particularly in Givat Shaul, Talpiot, Beit Hakerem and other main areas. When it the best time to visit the Church of the Holy Sepulchre? The top destinations in Jerusalem accommodate hundreds if not thousands of tourist on a daily basis. As such, knowing the best time to visit is the key to avoiding heavy crowds. The best time to visit the church is during the early hours of the morning at around 6AM up until the afternoon. There are very few tourists during these times so it will be easier to tour the area. It is also important to visit the church on a weekday. The calmest days in the Church of the Holy Sepulchre are Tuesdays, Wednesdays and Thursdays. The weekends and Fridays and Mondays are very busy so it is recommended to avoid trips during these days. Ideally, it will also be wise to avoid going to the church during Christian Holidays. 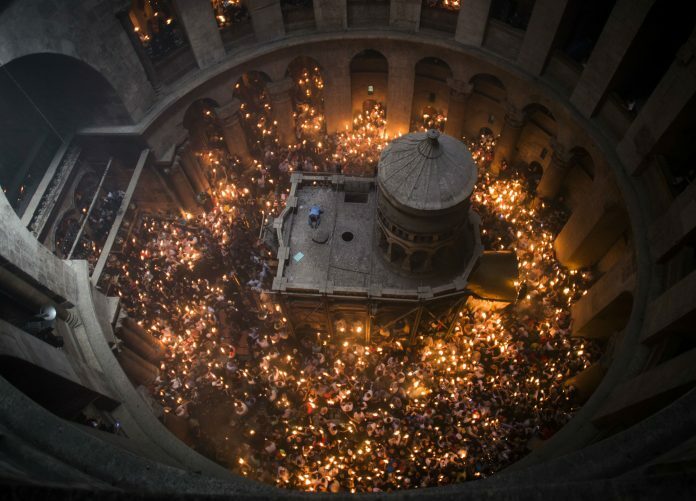 The Church of the Holy Sepulchre attracts thousands of devotees during this period. Easter week remains to be the busiest period of the year. Other holidays to avoid are Christmas, Ascension and Assumption of the Virgin. 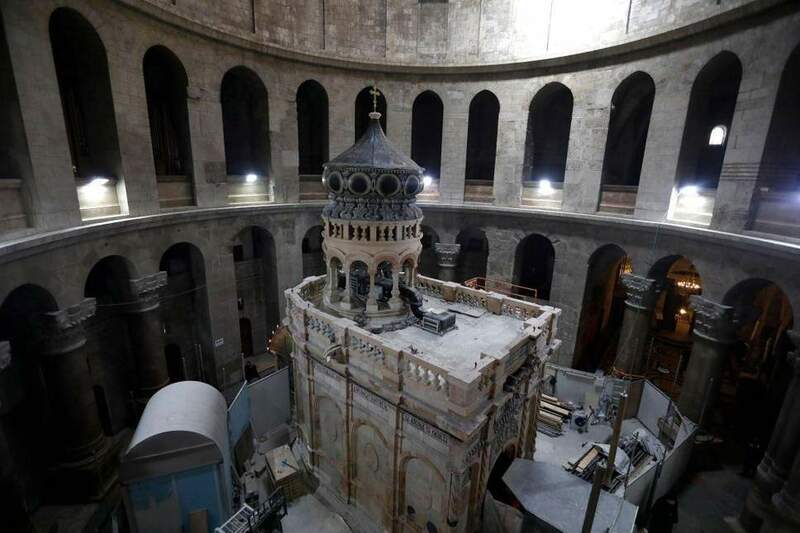 Now that we’ve got the rundown on what is important, let us take a look at some of the reasons why the Church of the Holy Sepulchre is worth the visit. Why Visit the Church of the Holy Sepulchre? The Church of the Holy Sepulchre’s exteriors may not be as impressive as other modern-day churches and it may not be as big as the great cathedrals of Spain, Italy, and France but it is not your ordinary church. Apparently, it has a lot of things inside it that are worth talking about aside from its long and colorful history. But what’s inside it that makes it one of the top tourist spots, particularly for Christians? There may be a lot of churches all over the world but the Church of the Holy Sepulchre is different among the rest. 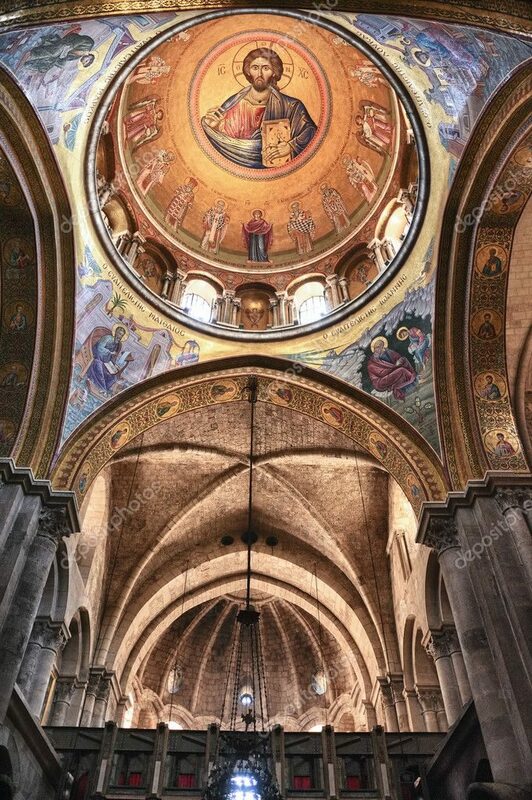 Sure, you can just visit the nearest Catholic church in your city and feel God’s presence or whatnot but the Church of the Holy Sepulchre is much different and it would really make you feel a lot more closer to God’s presence. This is because aside from its different interiors and exteriors, it is considered as the most sacred place on earth as many believe that it is the site of Jesus’ crucifixion, burial, and even resurrection as mentioned in the New Testament. According to reports, there are also pieces of both historical and archeological evidence that indicate that it is indeed the right place where Jesus was crucified, buried, and resurrected. Church architecture and interior design are always impressive. From its windows to even the paintings in its ceiling, everything is stunning and the Church of the Holy Sepulchre’s interiors are no different. Even if its exteriors is not as impressive as other cathedrals, its interiors, on the other hand, are also one of the reasons why the Church of the Holy Sepulchre is worth the visit. Like the other churches, it also has an impressive interior decoration. The painted ceilings are impressive and are highly detailed and the wall decorations are intricately designed as well. But what makes its interiors even more impressive are the artifacts that it homes which provides further proof of Jesus’ existence. Here, you can get to see relics that many pilgrims covet, magnificent arches, and other significant pieces of memento. Another one of the reasons why the Church of the Holy Sepulchre is worth the visit is because of the ancient mysteries that it holds. Each part of the church has its own story and one of the well-known ones is the mystery that engulfs the Chapel of Adam (which is, by the way, you can reach when you take the steps that lead down the north side from the entrance). The legend says that it is where Adam, our old father, was buried. 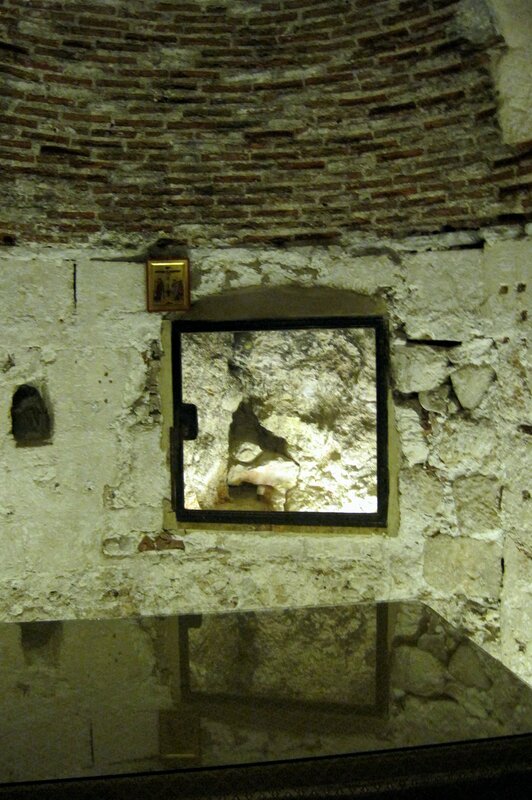 But the more interesting part is that it is believed that it is also the area where Jesus was crucified. Hence, many believe that when Jesus was crucified, his blood ran down the cross and through the rocks that filled Adam’s skull. Also one of the reasons why the Church of the Holy Sepulchre is worth the visit is that it has several holy artifacts that will not just astound you but will strengthen your faith in an unexpected way as well. One of such relics is found when you head west near the entrance of the church. Here, you’ll find the Stone of Unction. At first glance, it may seem like a mere stone – nothing extraordinary, no intricate design, or whatever. But the truth is, it’s not as ordinary as it looks like. The legends say that it is where the body of Christ was laid, cleaned, anointed, and dressed for burial after he was crucified. You will definitely feel the power of worship of your fellow Christians as you gaze upon this relic. That said, it’s something that makes the church worth visiting. Catholic churches sure hold scenes of ceremonies. However, like the other things that we have previously mentioned, ceremonies and other church events are much better witnessed in the Church of the Holy Sepulchre. This is because you’ll feel the holiness of the place even more because of the historic artifacts that it stores and due to the fact that it is where Jesus once walked. One of the ceremonies that draw thousands of Christians to the place is the Holy Fire Ceremony. This mass event happens every year and according to the Orthodox tradition, there is a blue light that glows from the stone bed where Jesus was said to have been buried on. For many Christians, this is a miracle because the sid light doesn’t burn. It’s one of the ceremonies and reasons why the Church of the Holy Sepulchre is worth the visit as it is not just interesting but it is also believed to be miraculous. Again, the Church of the Holy Sepulcher plays a big part in the Christian world as it is believed that it is the place where Jesus was crucified, buried, and resurrected. As a matter of fact, the church is known to have a spot where Jesus exactly showed himself to his mother. In the northern aisle of the northern part of the Rotunda, you’ll see a number of columns of different periods called the “Arches of the Virgin.” It is also one of the most visited areas in the church but it’s not just because of how rich it was decorated with Corinthian columns from the 4th-century church. Rather, it is believed that it is the spot where Jesus Christ appeared to his mother after he rose from the dead. Hence, it’s really a fascinating place to be, especially for Christians who want to strengthen their faith or know more about the history of the place. There are a lot of things to see at the Church of the Holy Sepulchre and these are just a few reasons why the Church of the Holy Sepulchre is worth the visit. But before you go here, here are some few more tips to make sure that you can make the most out of your visit. The holy land, as well as the Church of the Holy Sepulchre, has a lot to offer to pilgrims. 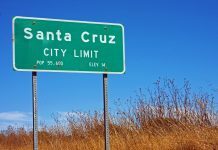 It can be quite overwhelming when visiting the area so to make the most out of your trip, here are some few reminders to get by. The Church of the Holy Sepulchre draws thousands of tourists so when visiting the area, it can be quite hard touring it without the huge crowd. That said, you might want to arrive as early as you can (the church opens at 5 AM). In this way, you can avoid the crowd and have more time to explore the area. You can also arrive late in the afternoon. While you may not be able to avoid the crowd at this time of the day, you will be able to witness various denominational processions going throughout the church. This would definitely make your trip more memorable. Like in any trip, doing your research before you go to the Church of the Holy Sepulcher is a must as well. 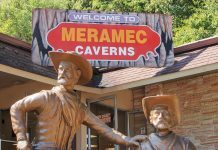 This is because according to some who have already been there, the place has chambers and other spots that aren’t well-labeled. Hence, you might want to study the church’s areas with the help of reviews available online. In this way, you’ll know where to look and whatnot. There are, indeed, a lot of things to see at the Church of the Holy Sepulchre – the relics, the walls, and even the floor are a must-see. However, don’t forget to look up too. The church is well-designed from top to bottom and even the ceiling is something that everyone will appreciate too as it also has an exquisite design that you shouldn’t miss. Even if you are not a local and although wearing long trousers is not fun when you are in Israel due to its weather, it is still advisable to wear appropriate clothing when touring the Church of the Holy Sepulchre. It is a place of immense religious significance so wear clothes that you would really wear to church. There’s no need for fancy clothes, though, just be sure that you won’t wear shorts, no revealing clothes, and the likes. 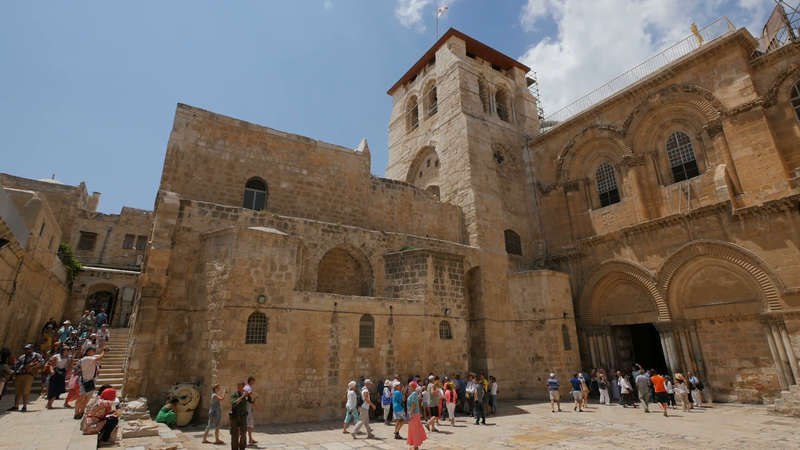 If you’re looking for a place to visit that has a rich history to tell, Jerusalem is one of the places to be, particularly the Church of the Holy Sepulchre. You’ll not just get to see an important part of the Christian world but you can get to strenghten your faith in the most unexpected way as well.